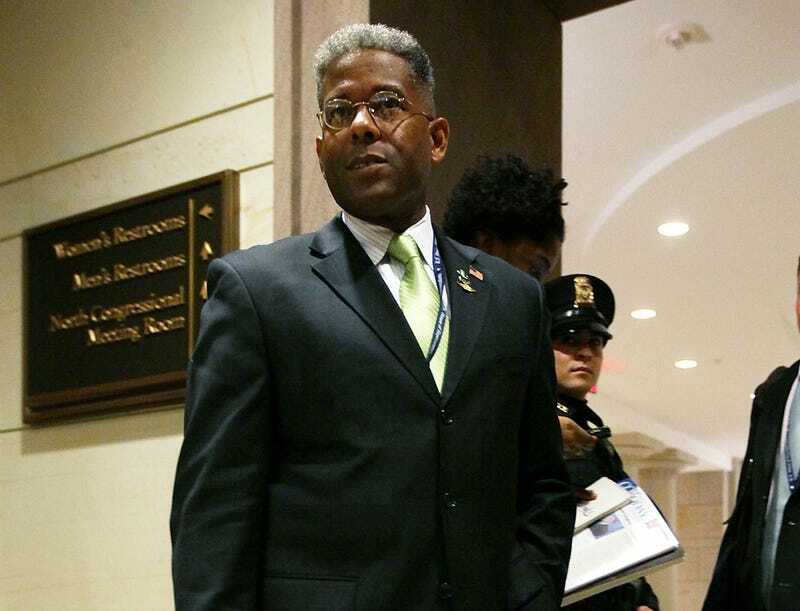 Tea Party-backed Rep. Allen West (R-Fla.) has never been one to hold back his criticism of Islam, or of his political opponents. During his campaign, he went so far as to accuse those who display the popular tolerance-promoting "Coexists" bumper stickers and the various religious symbols they include of giving away "our country" and "our rights and freedoms and liberties." One would think he might have tempered his message in light of the recent Arizona shootings and this month's extensive discussion about the need for civility in political discourse. No such luck. In a recently released video available on the Huffington Post, he attacks Muslim Rep. Keith Ellison (D-Minn.), asserting that his congressional colleague represents not just opposing political views but "the antithesis of the principles on which this country was established." So much for toning things down. If there are any inappropriate outbursts from the State of the Union address audience tomorrow night, we’re going to be looking at this guy. In other news: Rahm Emanuel's Off the Ballot: What About Carol Moseley Braun?